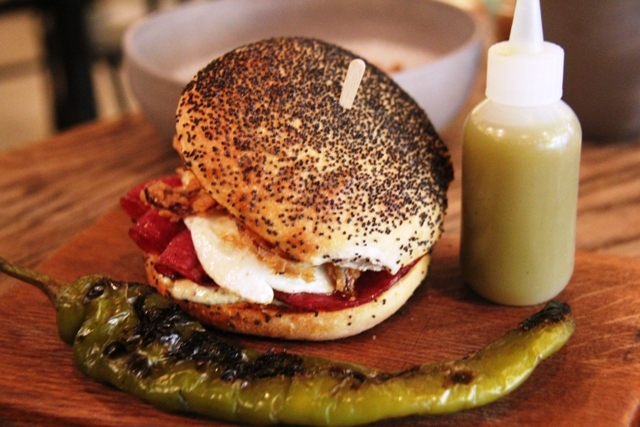 We all think we know the best new attractions in Philadelphia. Penn’s city of brotherly love has long been a magnet for tourists eager to see the Liberty Bell and Independence Hall, eat cheese steaks and run up the “Rocky Steps.” But Philly is changing. 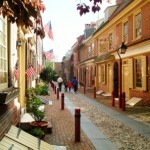 America’s oldest city is taking on a new look. New museums, arts and culture, exciting new restaurant concepts and fashionable new neighbourhoods. Andy Mossack shows you where to find the best new attractions in Philadelphia if you want to get away from the usual tourist treadmill. 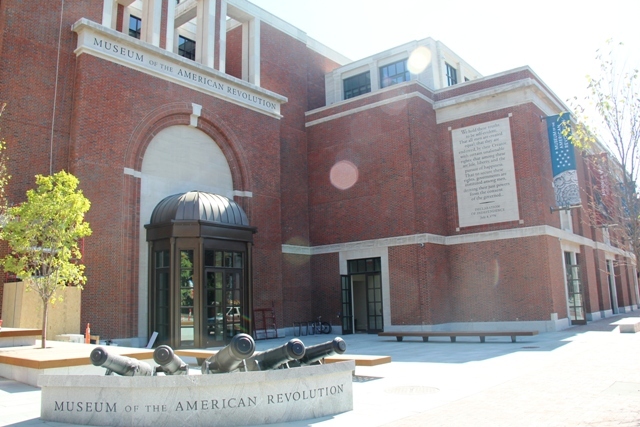 Incredibly, for a city so steeped in Independence history, there has been nowhere for visitors to see and hear the detailed story of the American Revolution from start to finish. 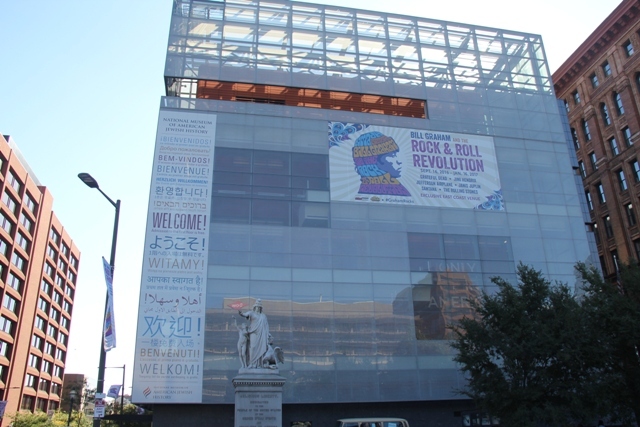 From April 19th 2017 all that will change when the Museum of the American Revolution opens its doors on 101 South Third Street, just a few minutes’ walk from Independence Hall in Philly’s historic heart. I’m having an exclusive peek behind the scenes as the finishing touches are being made. In one room, a giant replica of an 18th century privateer ship is forming, in another a full scale replica of Boston’s Liberty Tree.”This will be a first hand experience, not just a walk around exhibits” says museum publicist Alex Mckechnie. “Here for example, you can be part of the angry mob that pulls down a statue of King George” We stand by the base on which the statue will stand and I have to confess as a Brit, I ‘m feeling a little uneasy now. Finally, we get to the room that is the museum’s centrepiece. Here, behind hermetically sealed glass will be the actual tent which served as George Washington’s headquarters and living space for the duration of the conflict. Admission $19 adults $12 children 6+ All tickets will be valid for two days. Museum will open on the 19th April 2016. Another fascinating museum on Independence Mall, chronicles the history of American Jews since their arrival in 1654. Set over 5 floors, this is a brilliant journey through America’s past and how so many Jewish immigrants became such vital ingredients in its development as a nation. From the American revolution where Polish immigrant Haym Salomon was a principle funder for the Independence movement to scientist Jonas Salk who created the first Polio vaccine (the actual vial is on display). What strikes me most about this beautiful glass and terra cotta building is the way the internal staircases resemble disembarkation walkways off ships, such an iconic immigration image. 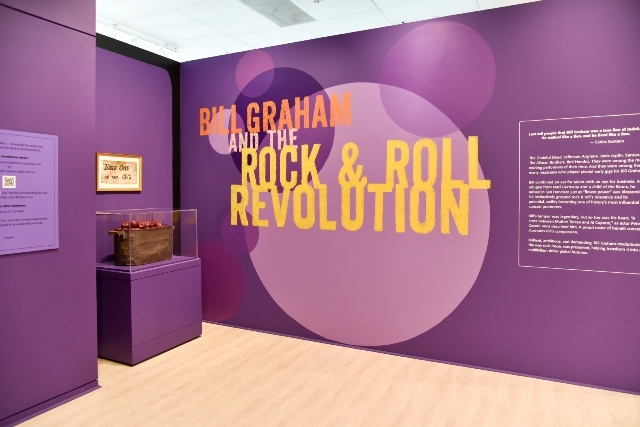 During my visit, a visit a temporary exhibition, Bill Graham and the Rock and Roll Revolution, (which runs through to 16th January 2017). Graham, a Jewish refugee from Nazi Germany, was one of the World’s greatest rock promoters catapulting artists such as Janis Joplin, Grateful dead, Jimi Hendrix, Led Zeppelin, the Rolling Stones and Santana to stardom. As far as best new attractions in Philadelphia is concerned this one might well slip under the radar. But for petrol heads everywhere, this is an unmissable destination. A collection reputedly worth over $500 million (although many would say priceless), it has on display 65 of the rarest racing cars ever built. 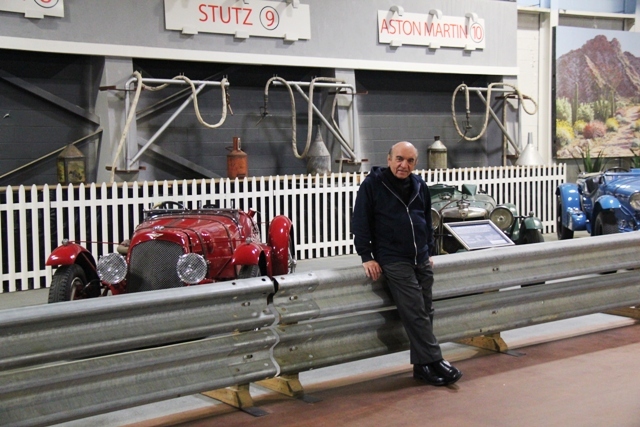 Assembled over 50 years by neurosurgeon and self-confessed car enthusiast Frederick Simeone, it is a mind boggling display of automotive classic racers from the dawn of racing by Ferrari, Alfa Romeo, Bugatti, Mercedes, Jaguar, Bentley, Porsche, Aston Martin, Corvette and Ford. One of these cars is reputed to be worth around $50 million. The Foundation has special demo days twice a month when some of these dream cars can be driven around the 3 acre lot at the back of the facility. Isaiah Zagar has often been quoted as the man who saved Philly’s bohemian South Street from demolition. This highly talented mosaic and mural artist has been adding his signature murals to properties around South Street since he and his wife arrived here in the late 60s. 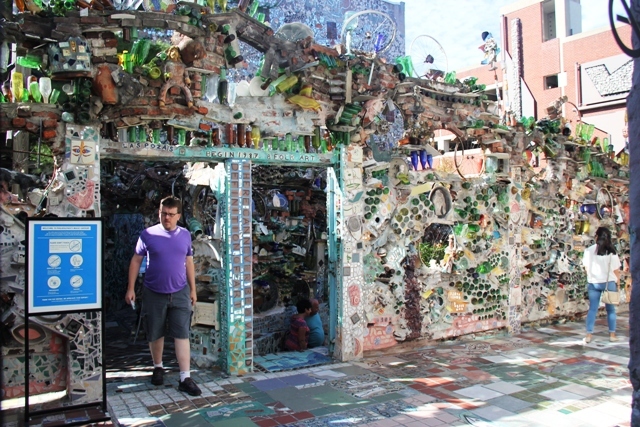 The Magic Gardens began when in 1994 Zagar started work on the vacant lots surrounding his studio at 1020 South Street, creating wall sculptures from bottles and pieces of glass. After years of work, this incredible display was in danger of demolition after the owners found out what he had done and decided to sell the land. The community rushed to help, battled hard and after a two years of legal wrangling finally prevailed. 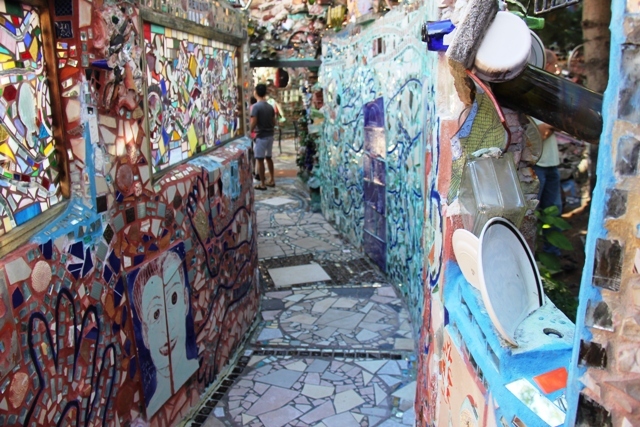 In 2008 the Magic Gardens project really took off with Zagar adding extraordinary grottos and tunnels, making it South Street’s most visited attraction. It is certainly one of the most unusual art installations I have ever seen and a living testimony to a man’s dedication to his craft. 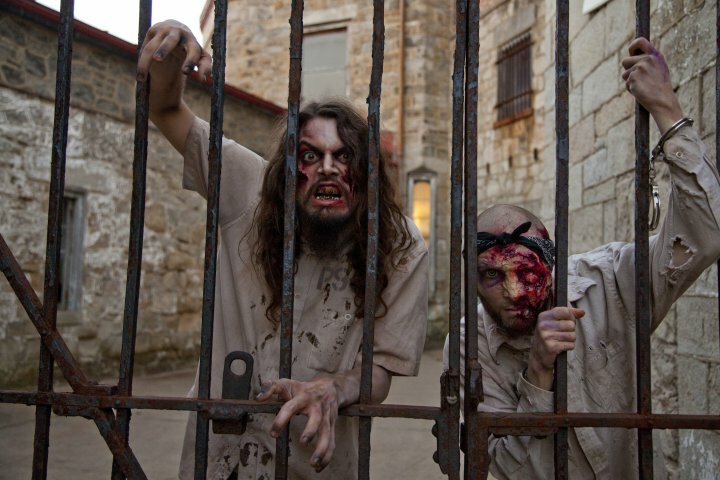 Walking around an abandoned prison is always atmospheric and eerie even at the best of times, but when you add darkness, zombies and blood curdling screams it is on another level entirely. 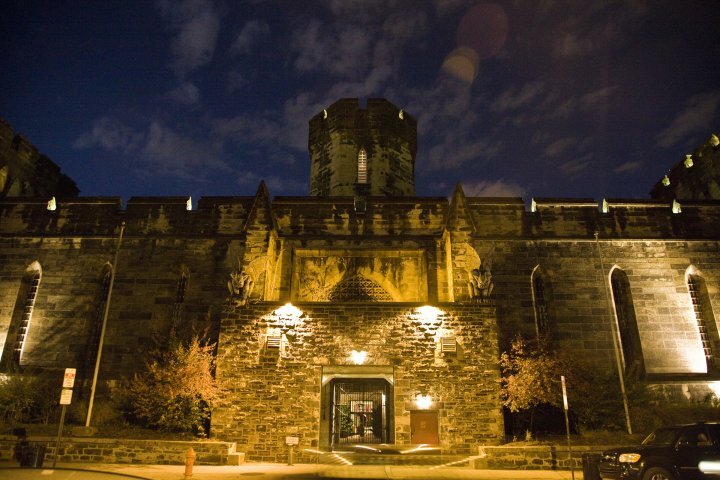 The Eastern State Penitentiary is a colossal Gothic prison close to Fairmount Park dating back to 1829 and had Al Capone and Willie Sutton as its most notorious inmates. 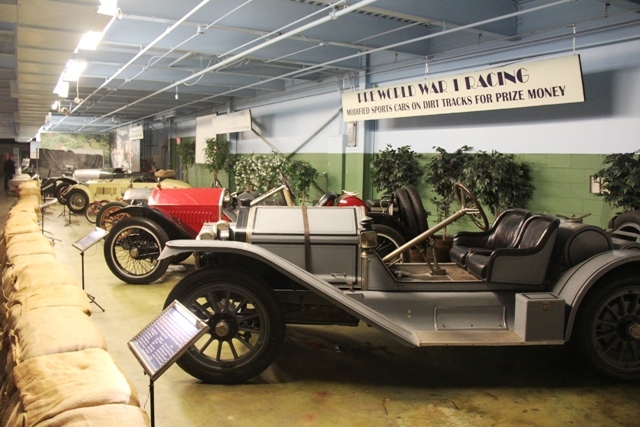 By day it is a fascinating museum to explore, but during the summer nights until the end of October it transforms into an excellent haunted house attraction. Mark my words, it is a 45 minute nonstop journey of frights as you walk down ancient corridors and abandoned chambers. I loved it and it is perfect for a review of the best new attractions in Philadelphia because it is! 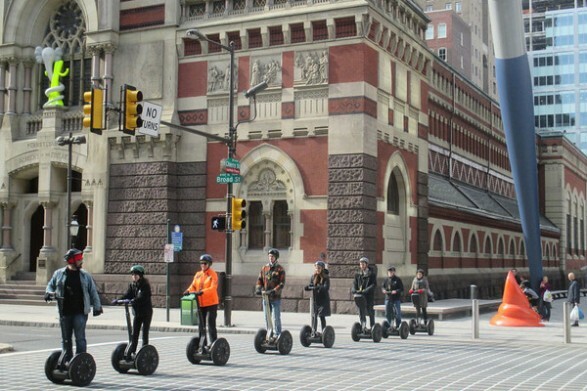 You couldn’t have a Best New Attractions in Philadelphia feature without mentioning Segway tours. The Segway is such a fun way to tour a city; it’s easy to ride and you can reach many more places than by bus. 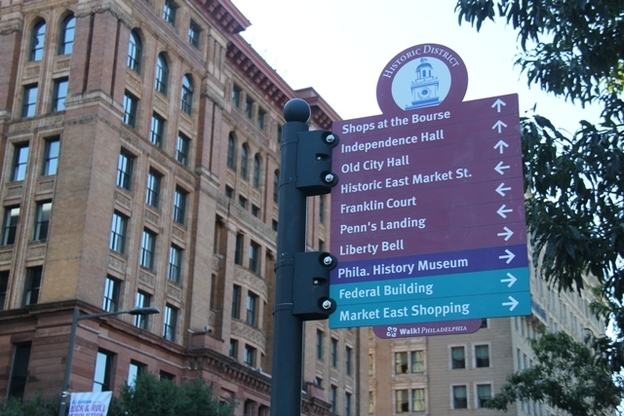 The Philly Tour Hub operates various tours including an excellent 2 hour river to river city tour, ideal for a perfect overview of the city of brotherly love. 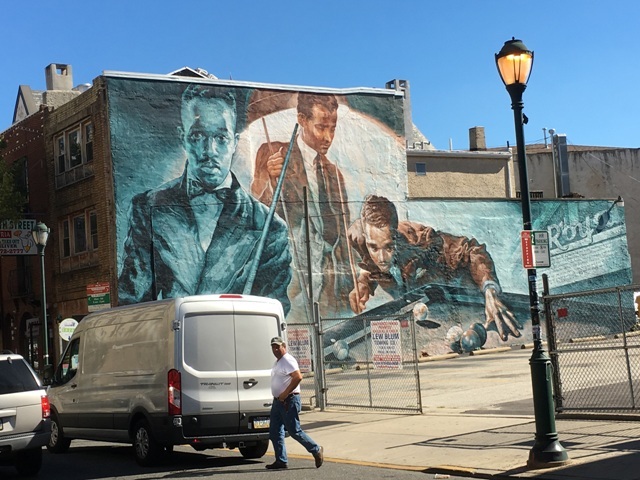 Then again, it art is your thing, Philadelphia is the mural capital of the world with almost 4,000 giant murals on buildings all over the city. Started by Jane Golden in 1986 the Mural Art Program was originally designed to combat graffiti by inviting the artists to contribute in an official capacity. This 2 hour Segway tour rides past 20 of the very best. Ellen Yin is one of the exciting new restaurant entrepreneurs in Philadelphia’s farm to table restaurant scene with the much vaunted Fork restaurant and a.Kitchen & Bar in fashionable Rittenhouse Square. Just next door to its highly acclaimed big sister, Fork, High Street on Market is the latest Ellen masterpiece proving locally produced delicious fresh produce can be delivered from an open kitchen in an informal artisan way if that is your bag. High Street on Market is open for breakfast, lunch and dinner, but it was breakfast for me and I enjoyed every minute of it. Freshly baked crusty breads and pastries holding hands with some outstanding sandwiches and local organic coffee are more than enough to set me up for the day. After much deliberation, I went for the Hickory Town, $11 worth of Lancaster bologna, farm egg, Amish horseradish cheddar, gherkin mayo, fried red onions. Utterly delicious. 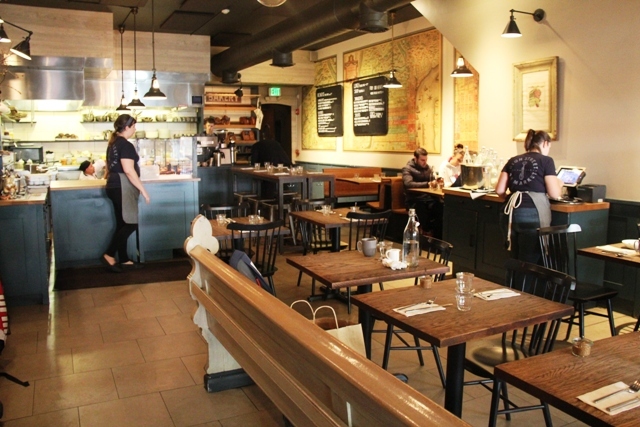 The evening menu along with the atmosphere is very different from High Street’s daytime look; under the watchful eye of Chef Eli Kulp it is still relaxed and informal, but perhaps more the Philly trendy set, out to drink good wine and enjoy generous sharing plates. 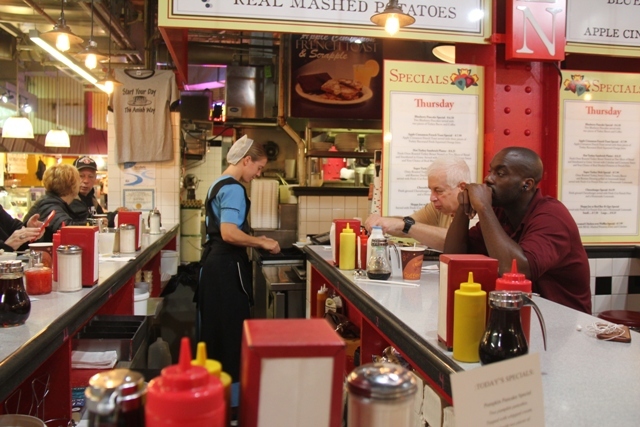 While we’re on the subject of good food, the Reading Terminal Market is always a must on the foodie visit list. 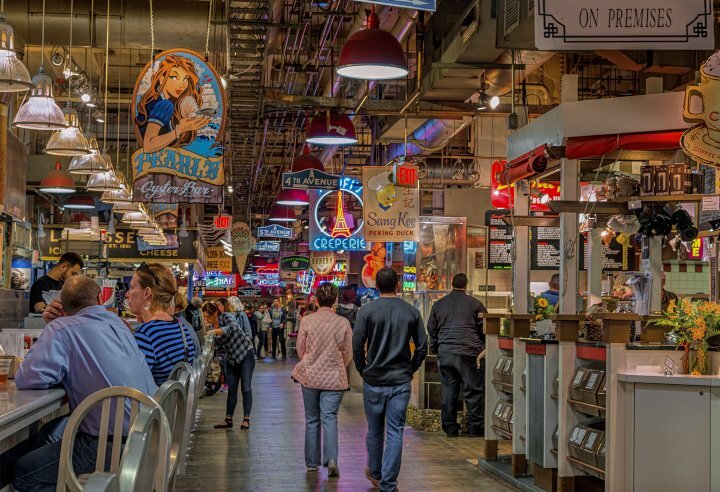 Although not technically one of the Best New Attractions in Philadelphia, it is nonetheless always worth a visit simply for the variety of fresh farmer’s market food on tap. There is always something new to discover, and I found an Amish restaurant called the Dutch Eating Place serving excellent breakfast and lunch fare. They are only open Tuesday to Saturday. 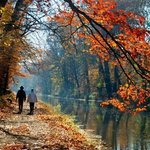 If you have the time you really must also do some exploring outside Philadelphia in Bucks County, which is just a 45 minute drive away.